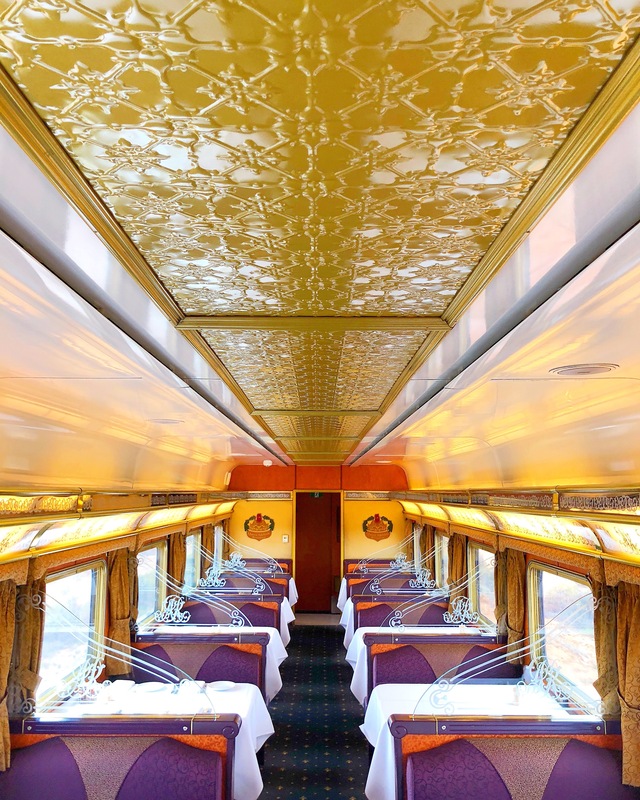 Travel the magical Indian Pacific to Perth! Right now, I’m sitting next to my besties at a cute table, covered in a white cloth, sipping lattes and looking out the window at the stunning SA outback. 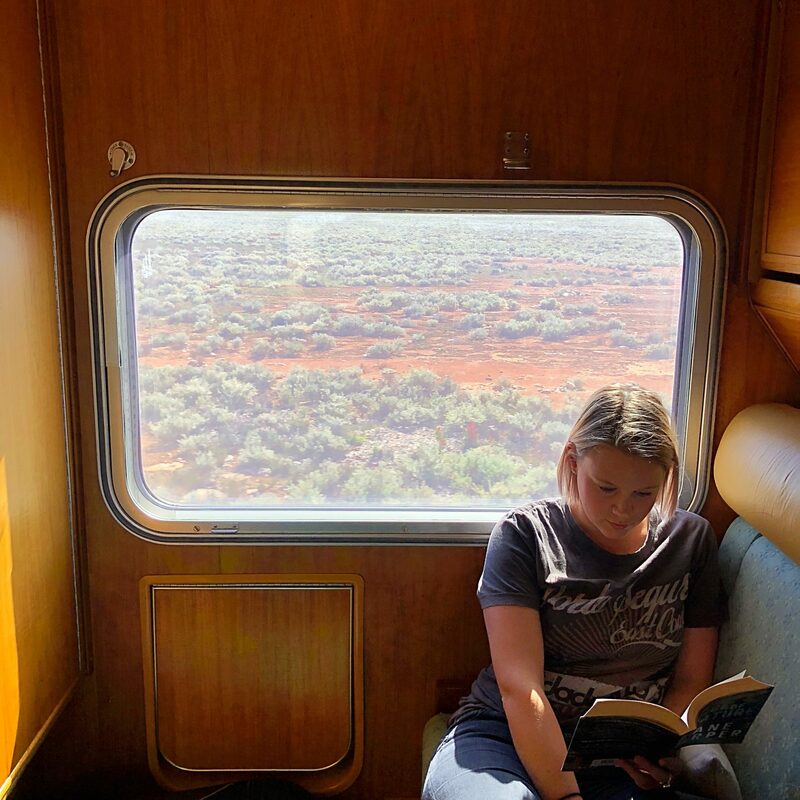 I’m on board the Indian Pacific and at this moment, I wouldn’t want to be anywhere else in the world. Welcome to our Great Southern Rail adventure to Perth! It’s everything I’d imagined – and more. We feel like we’ve stepped back in time, and onto a movie set where we’re being treated like the main characters! 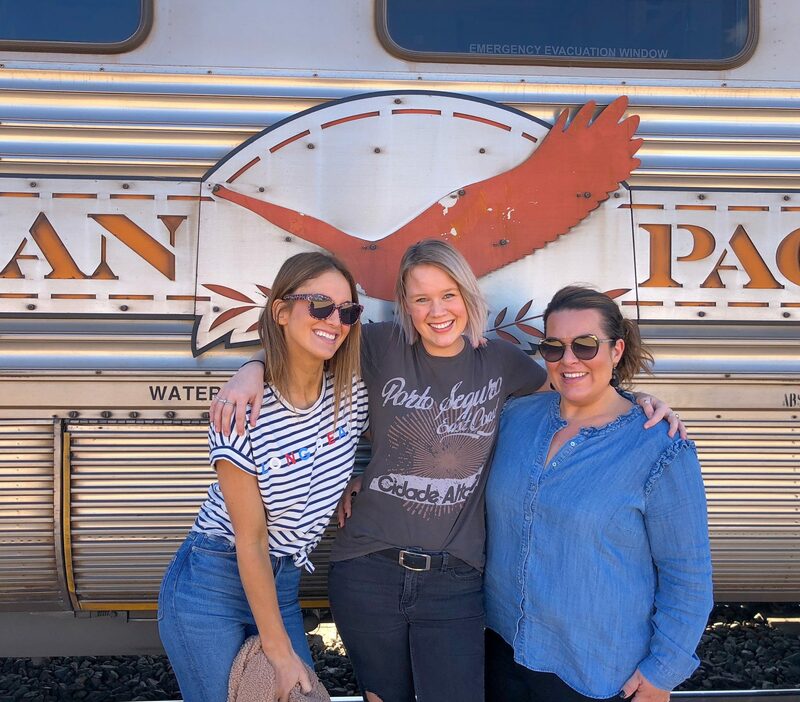 The Indian Pacific experience is one for every Adelady! It travels along the longest straight stretch of railway in the world and is even visible from space. The train itself is over 600 metres long, WOW! 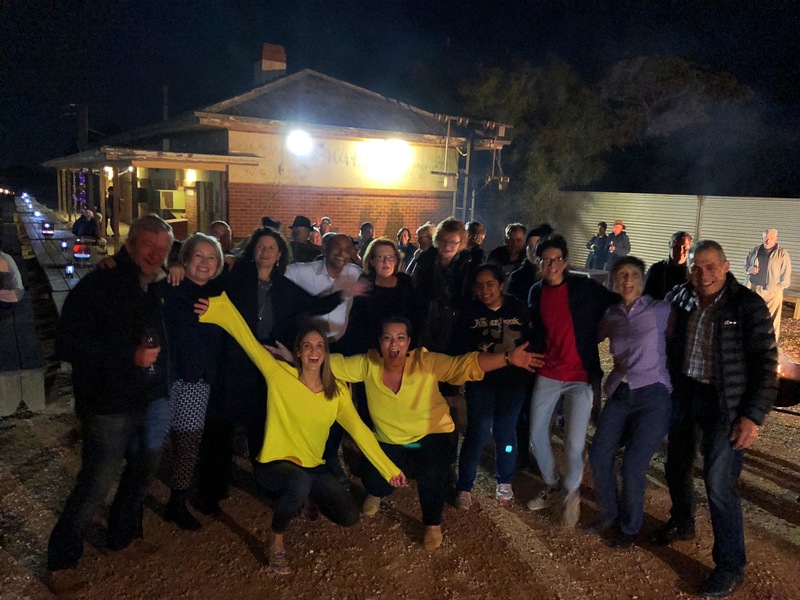 If you want, you can kick off your adventure at the Wine Centre where you’re treated to SA on a platter… gorgeous local wines, delicious SA produce and great company! You’ll then be escorted to the Adelaide Parklands Terminal where, like Harry Potter, you’ll board this magical train to Perth! 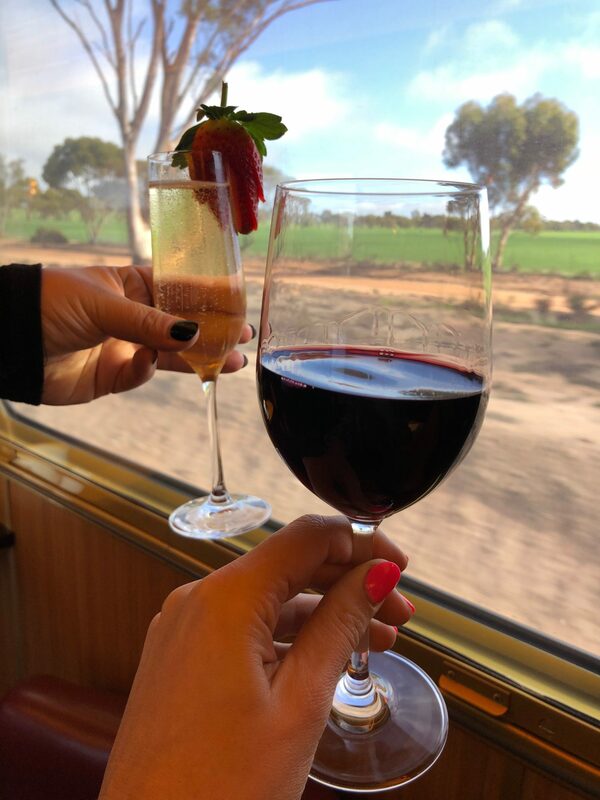 As soon as you jump onboard, you’re welcomed with open arms into the Outback Explorer Lounge, where everything is included… helloooo midnight cocktails! 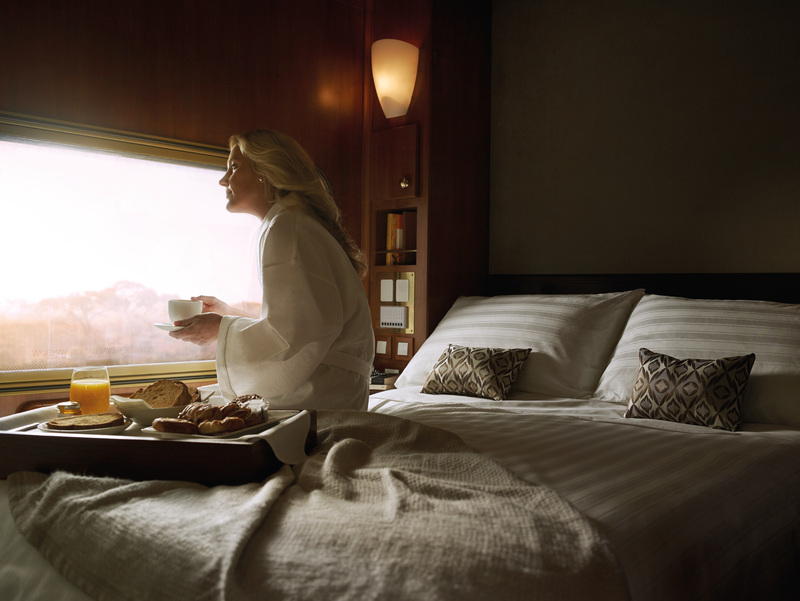 We’re all about Gold Class, which means we were ridiculously comfortable — and with the vibrations of the choo-choo train, we were rocked to sleep like babies. In the morning, as the sun rises over the red sand dunes of the Nullarbor Plain, it’s like nowhere else in the world! 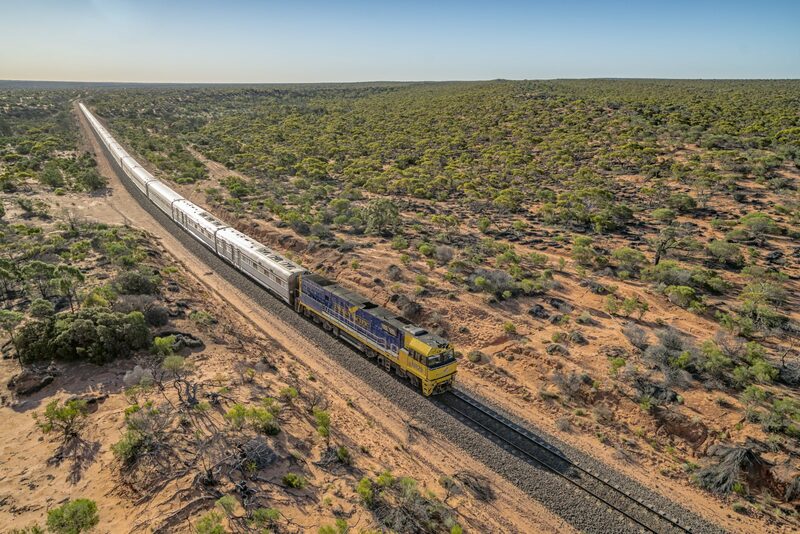 On this day, you’ll travel on the longest straight stretch of railway in the world! Brekky is at 6.30am-8.30am and worth rising early for. 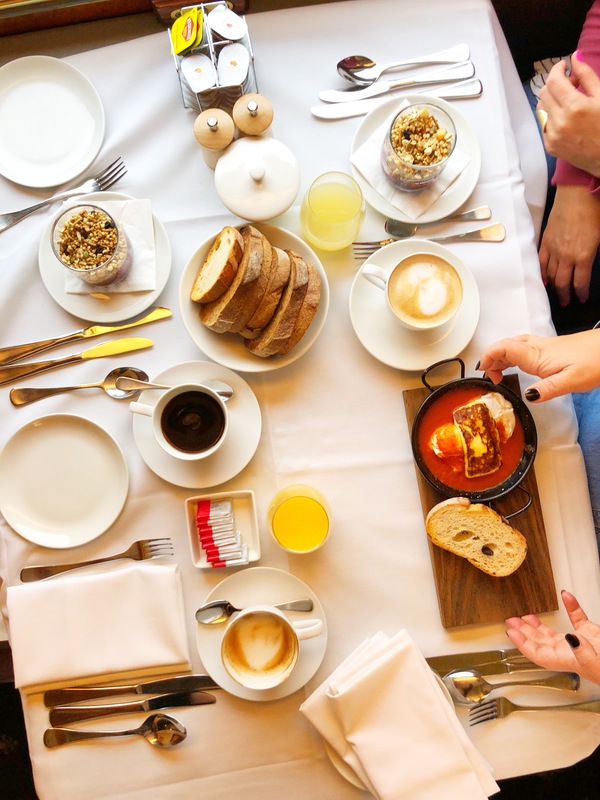 With a starter and main option, and all the coffee and juice you can dream of – breakfast on board the train is perfection! Then, for the rest of the day, while you travel, you’re free to do whatever tickles your fancy. 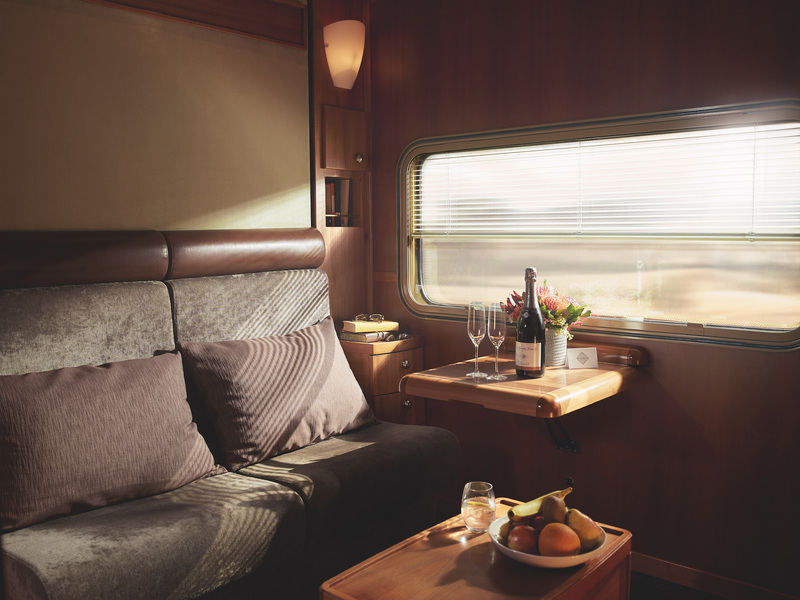 You can sit and watch the world go by, relax in the lounge with a cheeky wine in hand, dive head first into that book you’ve always wanted to read –- whatever you do, it will be one of the most peaceful days of your life. Time to stretch the ol’ legs! The train stops off at a real life ghost town, Cook, where the population is four! 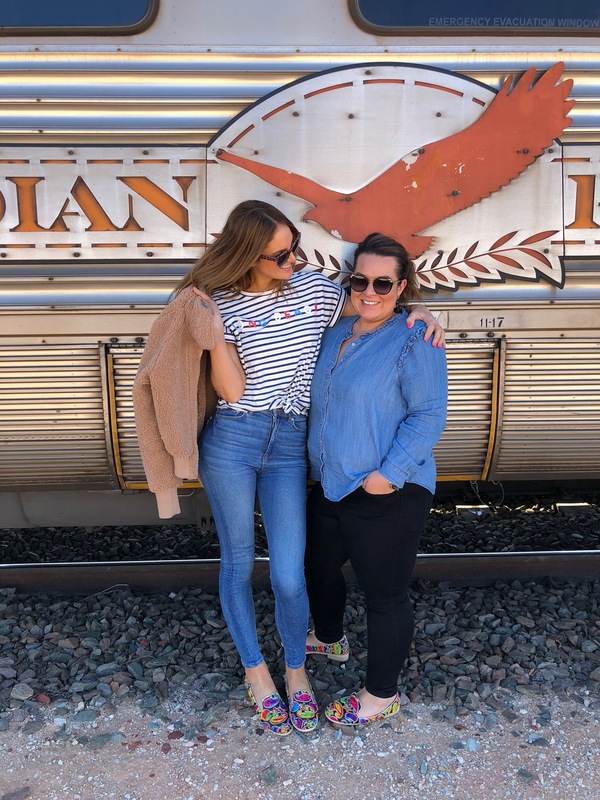 Don’t expect to go shopping though, this town is beautifully stuck in the past with old ruins, a deserted school, gaol cells, and absolutely perfect for a happy snap! In summer, you’ll dine on a long table that seats 200, stretching out across the stunning outback — lit up by fairy lights and big smiles. In winter, you can eat on board the train, then jump off and star gaze by the bonfire. This was seriously one of the most fun nights I’ve ever had! 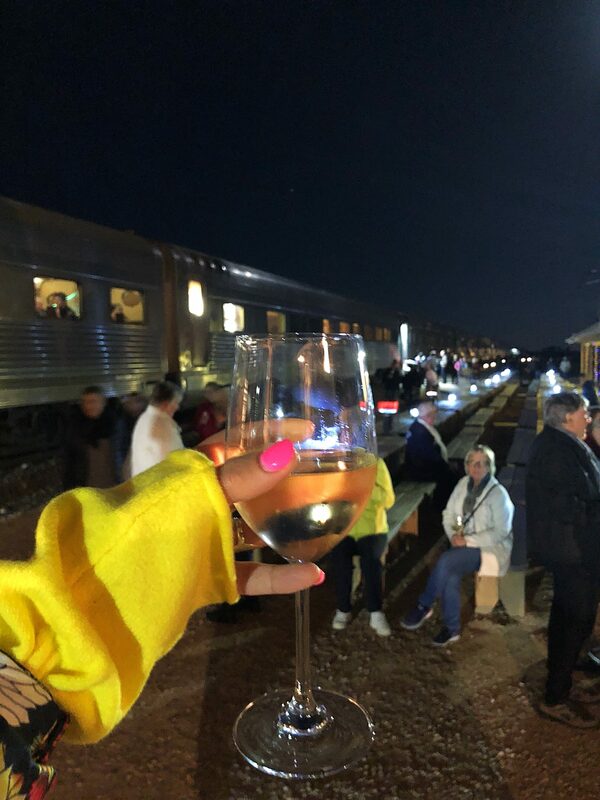 200 passengers jumped off the train at Rawlinna Station to find that bonfires were cranking, wine and canapes were flowin’ and the best part? Travis Loughhed cranked out the best of the 60s, 70s, 80s, 90s and even an original song about the town of Cook that he’d written that very afternoon! Did we (and every other passenger) hit the d-floor? Of course we did! Everyone was dancing the night away, under the moon, stars and even the bright red dot (which turned out to be MARS) – it was perfect! 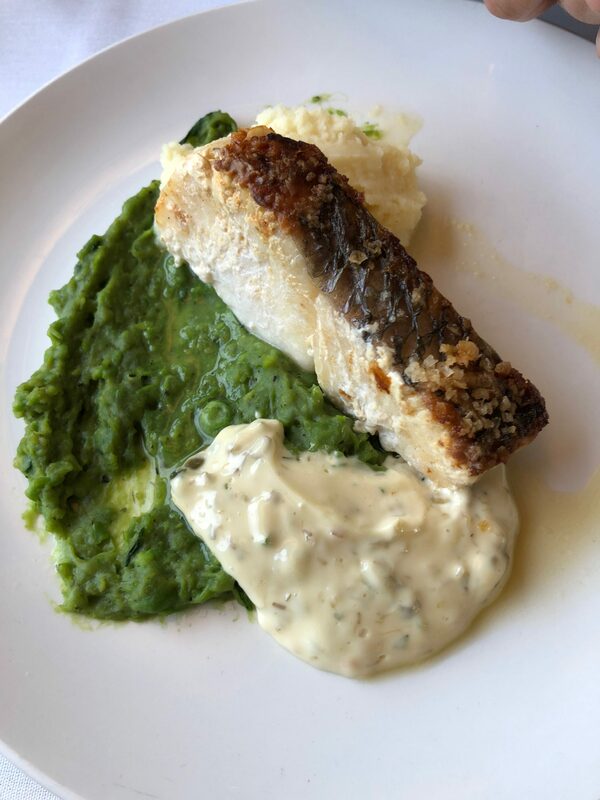 After carving up the dance floor, we stepped back inside and dined on one of the most scrumptious dinners we’ve ever tasted at the Queen Adelaide Restaurant. 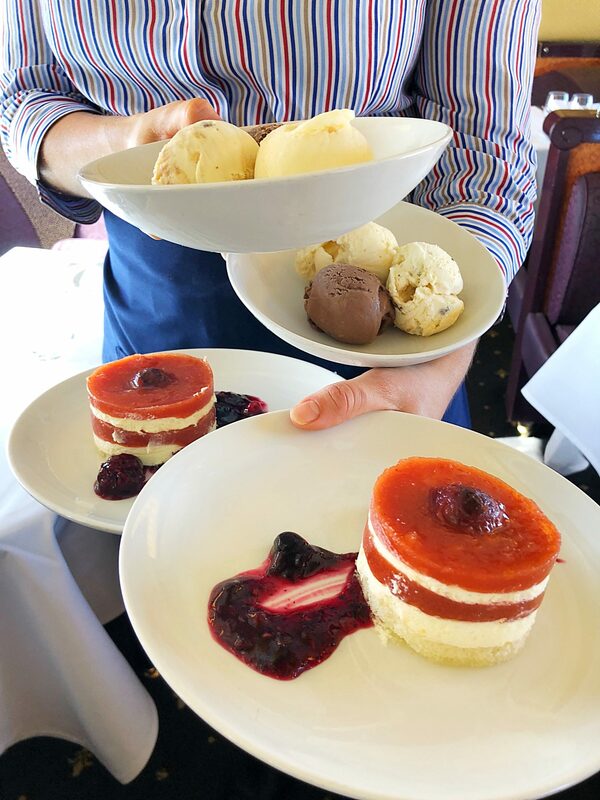 To be honest, I wasn’t expecting the food to be next-level, given we were on a train. But it was — every meal was as delicious as the next! 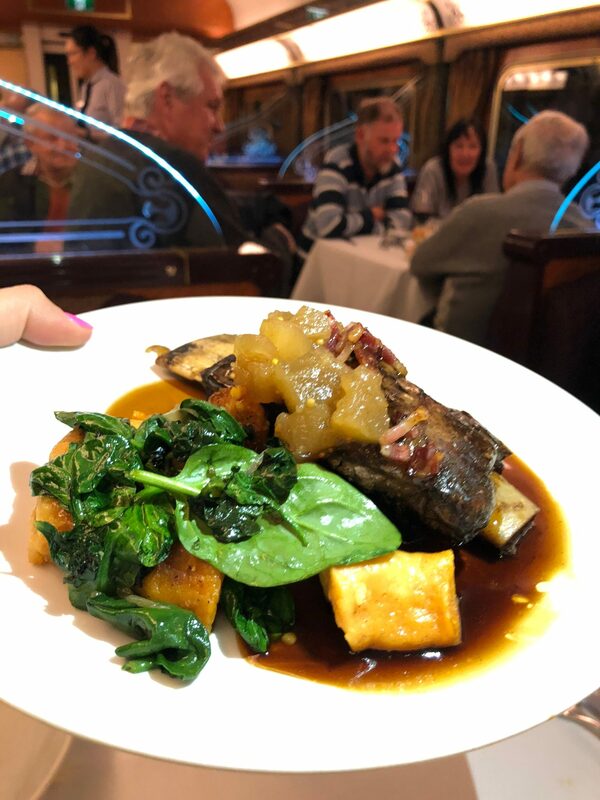 And with starters, mains and desserts to choose from, accompanied by whatever you wanted to drink — it’s every girl’s dream! On a high, we went to bed with warm hearts, full bellies and sore dancing legs! By Saturday morning, everyone knows everybody by their first names, as well as where they’re from and where they’re going. So, the vibe on the last day is extra special. At 3pm the train pulls up into Perth and the adventure has only just begun… Rottnest Island awaits! To hear all about our Rottnest Island adventure, head HERE. 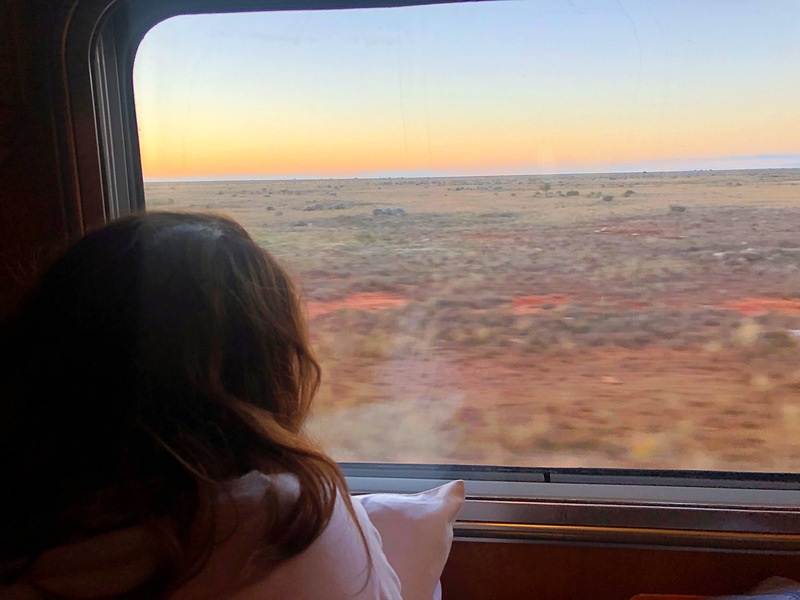 I don’t know what it is about the Indian Pacific, but as soon as you’re welcomed on board, you feel safe, relaxed and so far away from all the pressures of your normal non-train life. I could not have loved this experience any more than I have! For anyone who wants an adventure, something completely different, a place to switch off and a magical experience, we highly recommend this journey to every Adelady! And, you can travel however you want — Gold or Platinum! 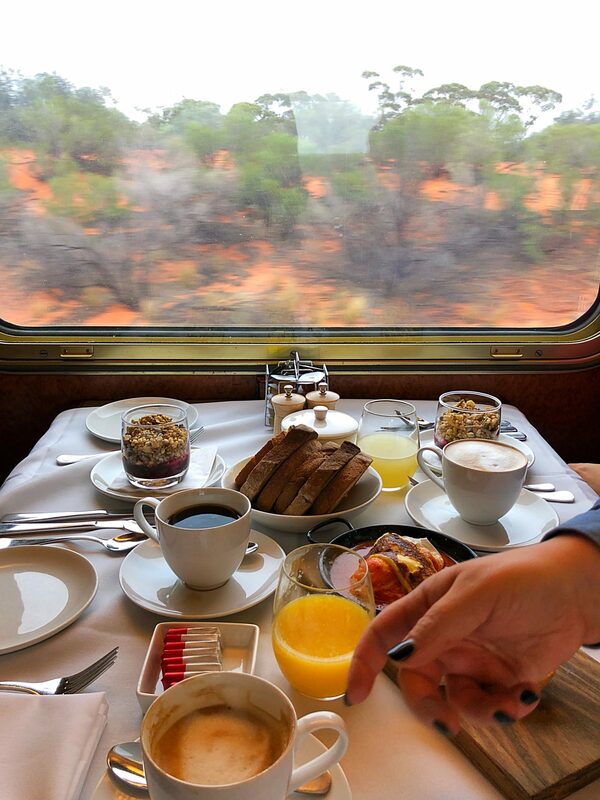 The Indian Pacific operated by Journey Beyond, goes from Sydney to Perth, Adelaide to Perth and the other way around! 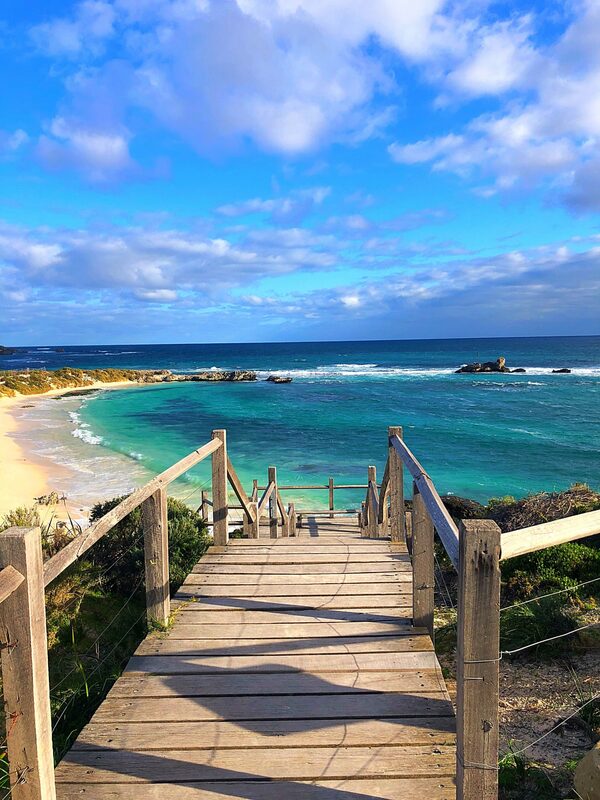 If you pick the Adelaide to Perth package, you can indulge in the full experience starting at the Wine Centre and ending at Rottnest Island. Or, just take the train journey — it’s all shades of fun! 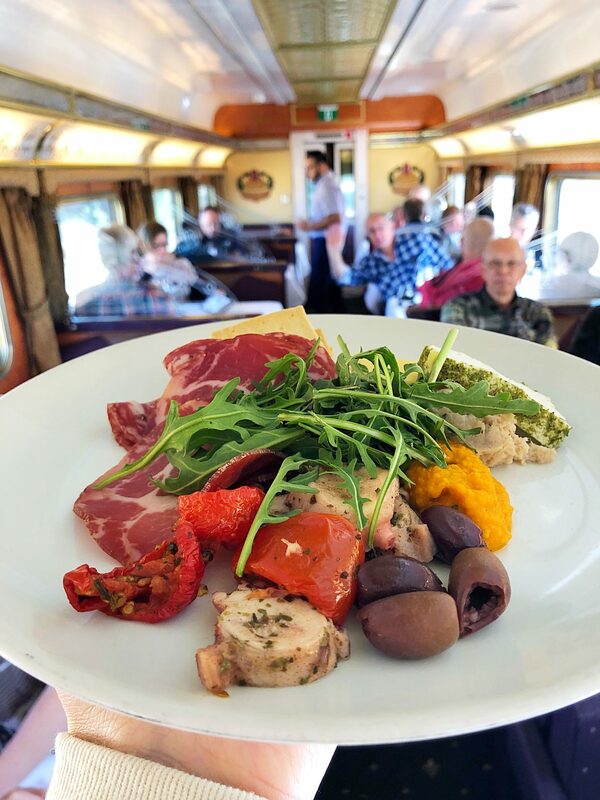 The great news is, 2019/20 bookings are now open and there are more than 20 carefully curated itineraries that include a train journey accompanied by other amazing Australian experiences. All can be found HERE. I cannot wait to do it all again with my little family! 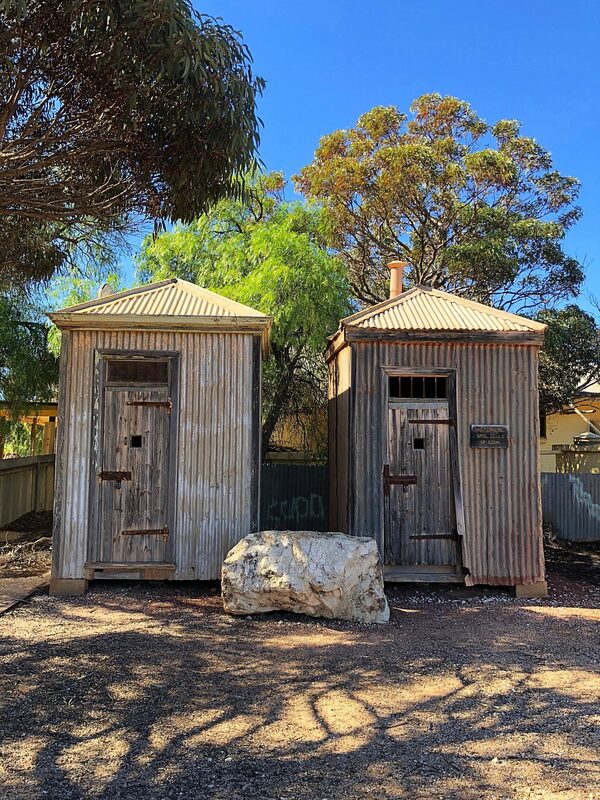 Previous PostAdelaide in August - What To Do And Where To Go!